While this list is specifically for our farm offerings, we carry a variety of local products in our store. 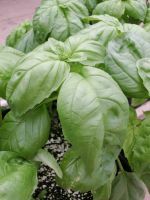 We have a sweet basil that is perfect for pesto, sauces, or just about anything. Our large leaves keep well in the refrigerator or in a small vase with water on the counter. Our grass-fed beef is lean with just the right amount of marbling. Available in ½ or ¼ cow and 30-lb assorted boxes, or individual cuts we have the perfect option for filling the freezer or for the perfect cookout anytime of the year. 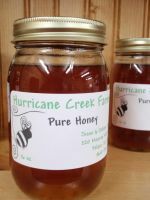 Produced by bees located on the property, our honey is a sweet flavor laced with undercurrents of all the local wildflowers. 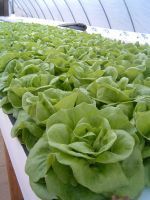 This is also known as butter crunch lettuce. With soft, sweet leaves this makes the perfect salad. 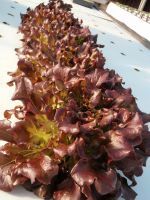 This red curly leaf variety has excellent flavor and makes a stunning display either by itself or as part of a salad. 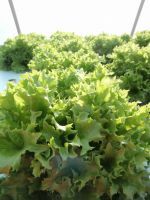 A curly oak leaf variety, our multi has a mild flavor and is great for salads. 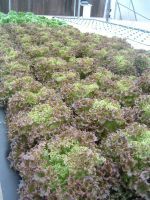 An intense red leaf lettuce with mild taste. 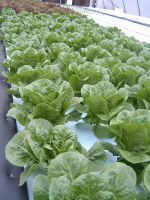 Our romaine is a crunchy mild leaf lettuce that is perfect for sandwiches, burgers or Caesar salads. We have both pencil cob (yellow) and truckers favorite (white) grits. Both are heritage varieties and are considered GMO free. Everything is 100% natural with no preservatives. Our cornmeal is a fine grind, perfect for cornbread. We have both pencil cob (yellow) and truckers favorite (white) grits. Both are heritage varieties and are considered GMO free. Everything is 100% natural with no preservatives, and we have both coarse and fine ground grits. 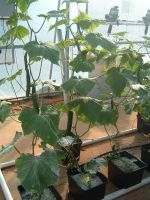 Our cucumbers that have a thin skin, no seeds, with a sweet flavor. Our peppers are on the smaller side due to lower pollination, however this also leads most of them to be seedless. 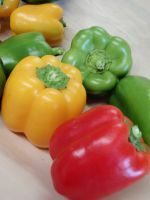 These sweet peppers come in green, red, or yellow – and sometimes an artistic mixture of all three colors. We have Geronimo and Quest varieties. These are large, juicy slicing tomatoes. Despite growing and harvesting all winter, these are just as good (if not better) than any tomato you’ll get in the summer. A deep ribbed heirloom-type variety. Small and sweet, our cherry tomatoes are perfect for salads – or for just eating out of a basket. 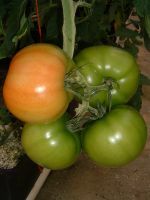 A dark pink heirloom with a brix of 5-7, making this a very sweet tomato. All content property of Hurricane Creek Farms220 Moores Mill Rd, Pelzer, SC 29669 Contact Us.